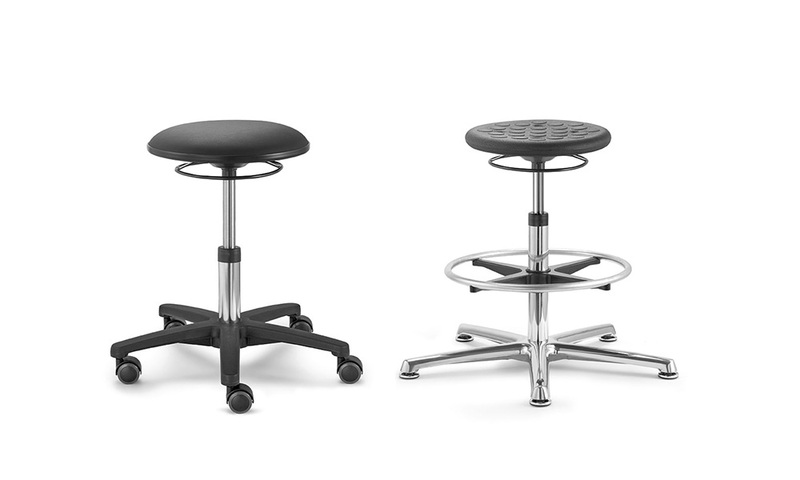 The Dauphin Tec Stools are a niche seating group of chairs specifically designed for activities requiring high levels of concentration such as for example the fine adjustment of machine parts in industrial manufacturing areas are often carried out in a fixed seated posture for hours on end. 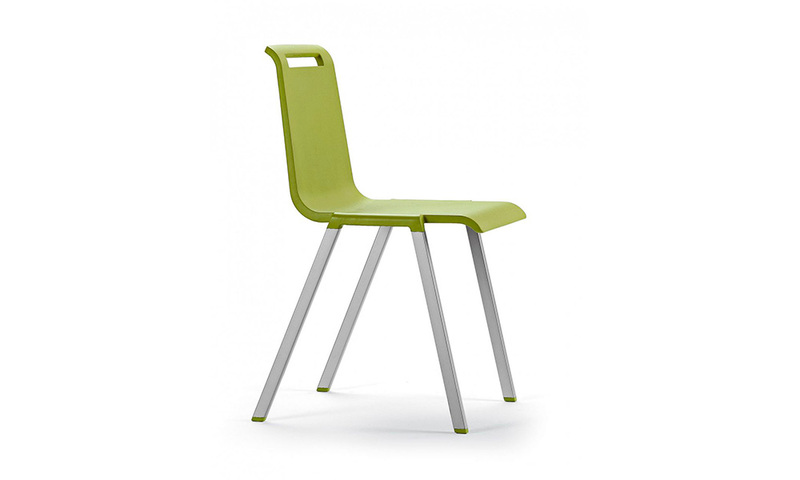 Solid chairs with special features which encourage dynamic sitting, assist with ergonomics in these environments. 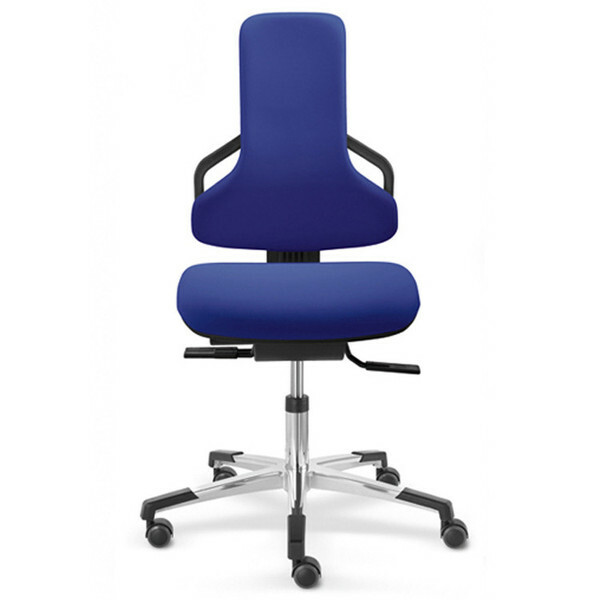 The counter swivel chair features a backrest that follows the user, ensuring the correct seated posture, and can be locked in infinite positions. 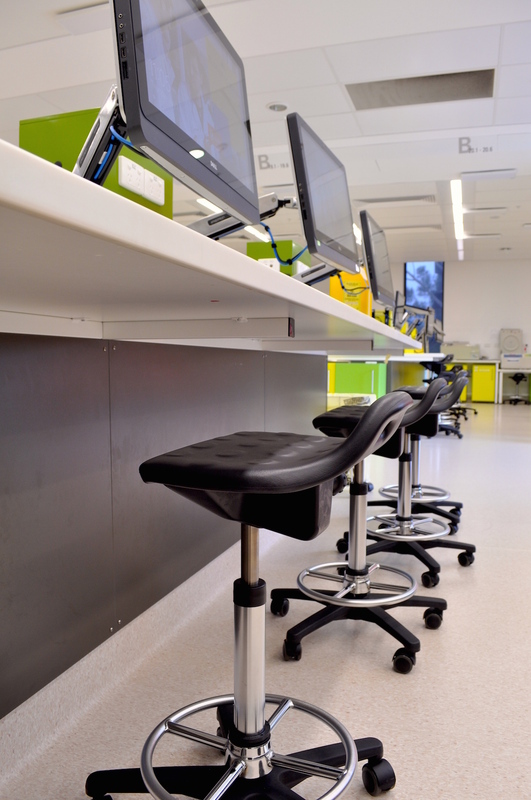 Due to the properties of polyurethane, it can be easily cleaned, making the stool ideally suited for use in areas with liquids. Optional seat tilt mechanism available. 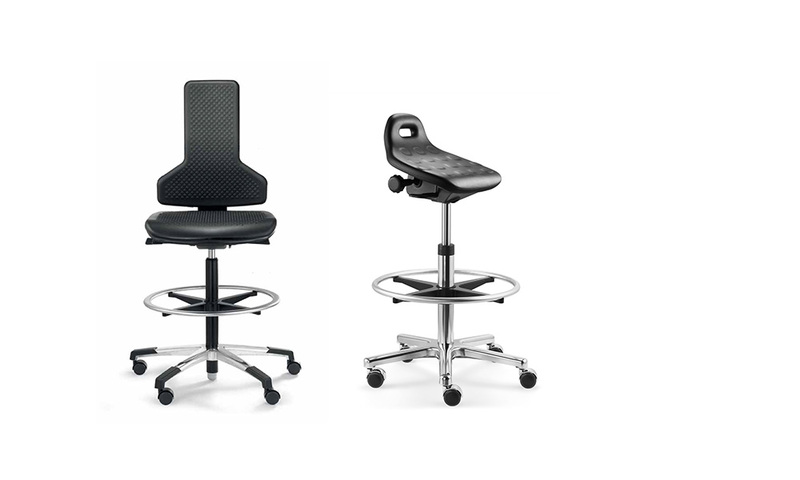 Armrests available both standard and multifunctional. Black base on castors as standard. 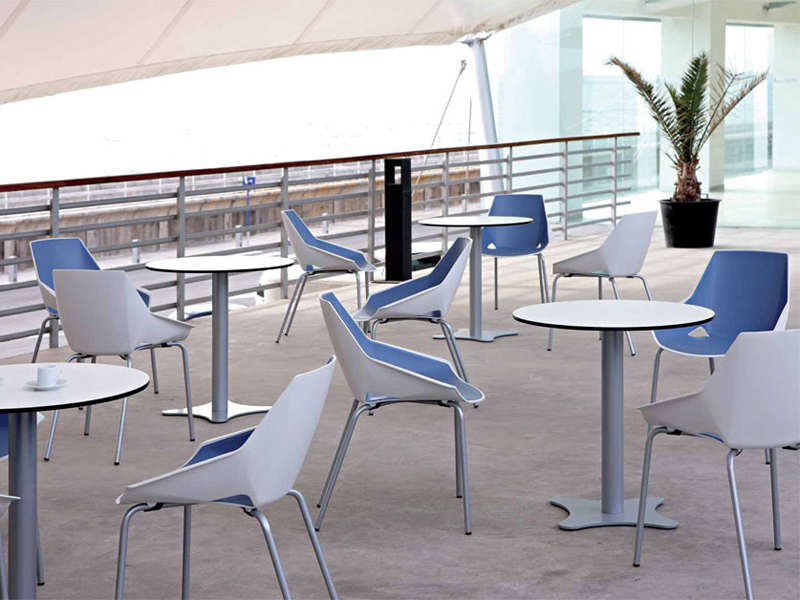 Optional black steel, polished steel, chrome steel and circular base available. 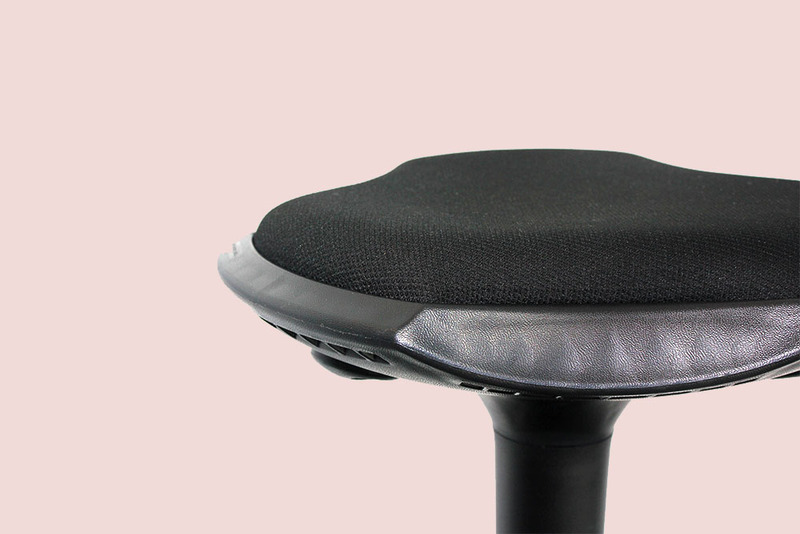 Polyurethane seat and back (where applicable). Black base as standard with polished aluminium. 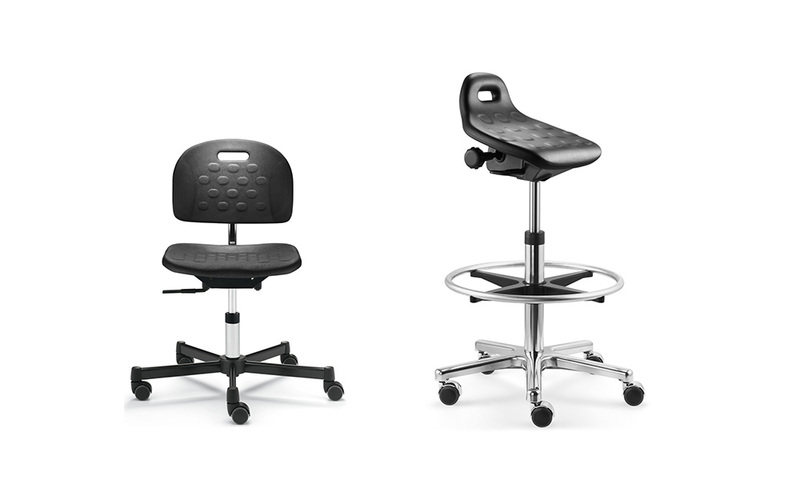 Armrests available as standard or multifunctional. Gas lift mechanism as standard.